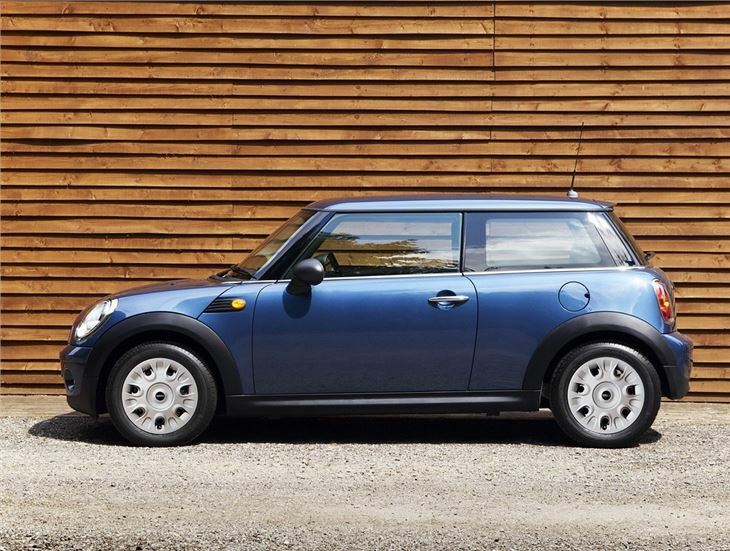 Entry-level MINI is £1500 cheaper than a standard MINI One. Still good fun to drive. No air conditioning as standard. Still over 120g/km CO2. Report of 2010 MINI First owned from new jumpng out of 2nd gear. In an attempt to extend the appeal of the MINI, the range was extended downwards to incorporate a new entry-level model called the First. It cost around £2000 less than a MINI One and boasted a far more basic trim and equipment package. The main diffference mechanically is the loss of 15PS for a maximum power of 75PS from the One's chain-cam 1.4-litre engine. Visual dfferences are limited to the First's steel wheels, matt black mirror caps, and near total deletion of chrome brightwork. In 2010, the 1.4-litre engine was replaced by a 75PS version of the MINI's Valvetronic engine - but without start/stop. The CO2 output for the 1.6-litre MINI First is 127g/km while and combined fuel consumption is reduced to 52.3mpg. The 0-62mph acceleration takes 13.2 seconds. 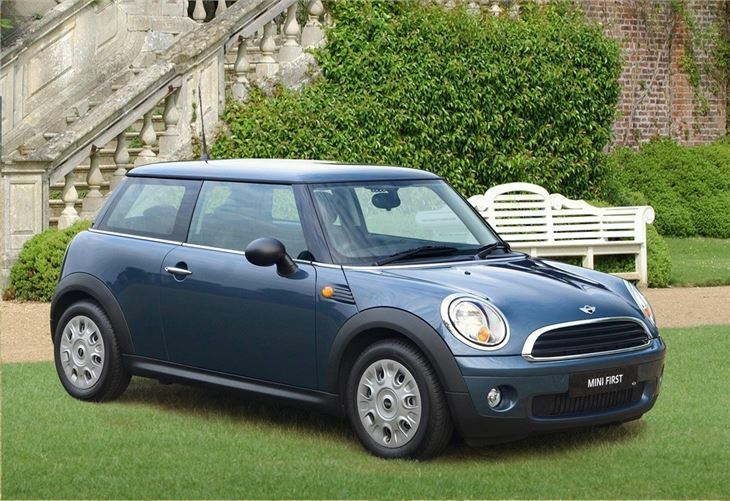 At the price of £10,989 without options in 2010, the First was the bargain of the MINI range - and although it is down on power, in daily driving, rarely does it feel sluggish, compared with a One. Ultra long gearing, a torquey engine, and low weight makes the MINI First a relaxing drive and surprisingly compliant riding on its steel wheels and high profile tyres. It's a bit of an underrated gem in the MINI range.